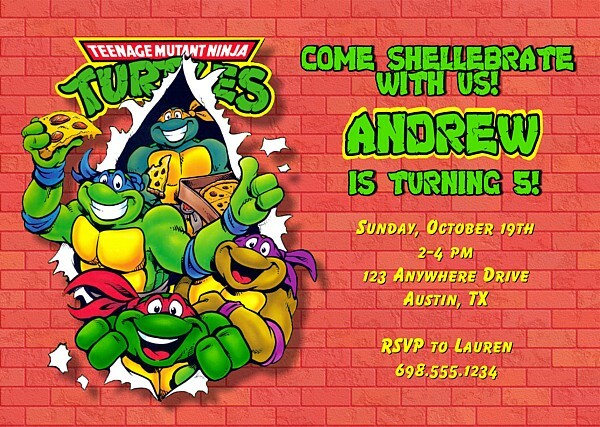 These Teenage Mutant Ninja Turtles party invitations are the perfect way to announce the birthday celebration of a child and are great for kids parties! 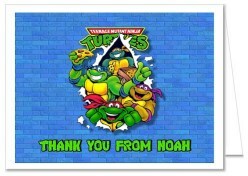 The Ninja Turtles design can be done in a red or blue background. Other background colors may be done upon request. They are printed using a high quality laser printer and the colors are nice and vibrant. 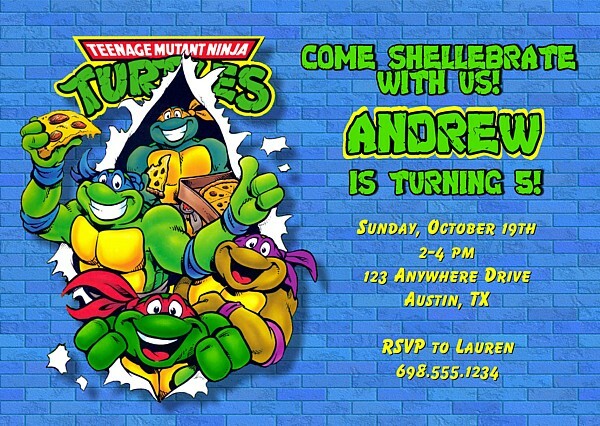 My party invitations are unique, affordable and custom to your needs. Many of my cards may be enjoyed by women, men and children of all ages! My customizable party invitations can be made with any information that is needed to get the word out about your event. Designs are creatively designed in my home with uniqueness and quality in mind. My homemade invitations are perfect for all occasions including, but not limited to Birthdays, Anniversaries, Baptisms, Bar Mitzvah, Adoption Parties, Confirmations, First Communions, Easter, Engagements, Graduations, Halloween, Hanukkah, New Years, Prom, New Baby, Class Reunions, Family Reunions, Quinceanera, Sweet 16, Thanksgiving, Valentines Day, Bachelorette Parties, Baby Showers, Birth Announcements, Spa Party, Girls Night Out or any event you can think of! !